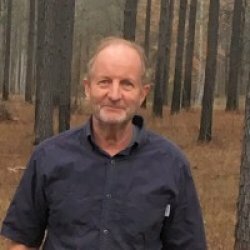 John Torbert | American Forest Management Inc.
John is an expert in forest soils, silviculture and forest finance with a Ph.D. in forest soil, an MBA in finance, and 20 years of forest industry experience, He knows how to make money growing trees! John has been a licensed real estate salesperson for American Forest Management since 2014. He is registered Forester and enjoys working with everyone interested in buying or selling forest land – from the large investor interested in maximizing timberland production and economic returns to the individual looking for 10 acres to start a mini-farm. When John is not helping a client find or sell property, he and his wife are enjoying life on their own 160 acre Tree Farm near Auburn Alabama.